The company is the reliable Manufacturer, Exporter and Supplier of high quality Limestone Powder used for neutralization purpose. Limestone Powder that we offer is accurately composed in our state-of-the-art processing unit and is free from impurities. We offer our Limestone Powder in moisture-free packaging and in different quantities. 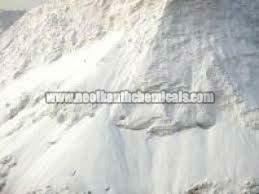 We are capable of undertaking bulk orders for Limestone Powder and deliver the same at very affordable rates.